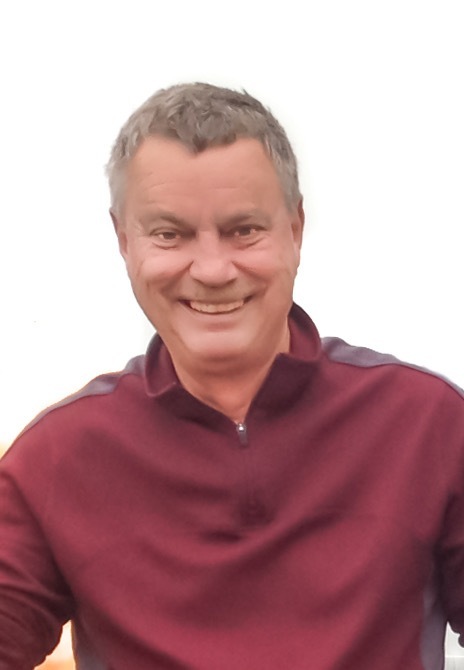 Michael J. Wilber of Gaylord, Michigan, passed away on Friday, February 8, 2019 at the age of 67. He fought a brave three month battle with pancreatic cancer with the support of his family and friends. Like with everything in his life, Mike approached his illness with strength and realism, but also with sadness not to have more time with his family. He inspired us with his feistiness as we watched him face his final challenge. “Mike” was born on October 6, 1951, in Gaylord, Michigan, to parents Ronald and Donna Wilber who proceeded him in death. The son of a mechanic, Mike grew up tinkering with motors and acquired many skills that would carry him throughout life. Mike dearly loved snow skiing and surrounded himself with friends who shared his lifelong passion. He was admired for the encouragement and support he gave when teaching others to ski. Everyone who skied with Mike learned something valuable from him that improved their technique. Mike challenged himself both physically and intellectually, and enjoyed reading and staying up on current events. He was well-informed and loved to talk politics. He loved music and attending music festivals in his motor home camper. After graduating from Gaylord High School, Mike attended Ferris State University and earned a Bachelors Degree in Business Administration. Mike pursued a career in sales in the oil and gas industry, and retired in June of 2015. Mike is survived by his loving daughters Heidi Bastien (Jorden) and Laura Wilber. He will be especially missed by his grandchildren Sophia, Chloe, and Gavin Bastien. He is also survived by his dear friend Nancy Madagame and her children Nicole, Hanna and Forest. Their great care and devotion carried Mike through his final days. He will also be greatly missed by his brother Bob Wilber (Patti Evon) and his sisters Nancy Gribi (Roger) and Becky Gronberg (Dan). He was special to his nieces and nephews and their families. Even though his life was cut short, Mike lived to the fullest. He was truly a one of a kind guy, and with his wisdom and great humor he wove himself into the lives of his friends and family in a lasting way. According to his wishes, Michael was cremated. A celebration of his life will be held at Nelson Funeral Home in Gaylord, MI on March 2, at 11:00 am with a visitation beginning at 10:00 am. In lieu of flowers, a memorial is being set up to benefit ski education programs. Bob, Nancy, and Becky. I am very sorry to hear of your loss. I have fond memories of Mike. So sorry to hear. Mike was good neighbor and friend. Sorry for your loss. He Will be in our prayers. Becky, Nancy and Bob. Lyle and I send you our condolences. So sorry for your loss. We will keep you in our thoughts and prayers through these very hard days. May God wrap his arms around you at this time. Love, Lyle and Maryda. R I P Mike. He was one of my best friends through school and life and will be sorely missed. Spent many fun times with him. He was always there if u needed a friend. Wilber family, so very sorry for the loss of your beloved brother. R I P Micheal Wilber, you and your family will be in my thoughts forever. To all of Mike’s family, and his dearest friend Nancy, At this most difficult time, may it help comfort you, knowing others care deeply for your loss. I will miss Mike’s sweet smile, and warm hug, every time our paths crossed! Bob, Nancy, and Becky, my condolences. I’m so very sorry for your the loss. Saddened with the news of Mike’s passing. It’s amazing in a small town, how many people we get to know, enjoy their company, chat now and then, solve a few problems of the world and move on with our life’s. Friendships, sometimes are hard to replace. Until we meet again my friend – God Bless. Very sorry for the loss of Mike. He was a great friend and a super sailing buddy. We had lots of fun trips sailing Lake Michigan. Joyce and I remember the fun times at the cabin at Hog Island with all of you. We know Mike loved to go there and enjoy the outdoors. Bobby, Becky and Nancy, Although it’s been many years since I last saw Mike, I remember him well; as one of his high school teachers, and am truly saddened to hear of his passing. Mike and his brother and sisters are what made my job a lot easier. Donna and Ron raised a great family. My sympathies to the Wilber family. Bobby, Becky, and Nancy- I am saddened to hear of Mike passing. My condolences to you. So sorry to hear of Mike’s passing. He was a great guy to work with and really helped me along the way. R.I.P Mike. We will miss you around here. I was saddened to hear of Mike’s passing. My thoughts and prayers are with you all. Growing up he was one of my favorite front door neighbors. Michael J. Wilber, I love you. Is there more to say? My years with Mike, on the hill teaching skiing at Otsego Ski Club, enjoying watching our girls grow and succeed, were so special. Early morning clinics with Hugo! Our “digs” at “the club” during ski season were across the hall from one another. Those times were epic. They had the microwave and we had the TV so the girls were always in one place or the other when not on the hill. Mike used to take great pleasure in scaring the @#$% out of me by blasting out of the door to their room when he heard me in the hall (the “makeshift” fridge for snacks, etc.). The many hours standing on the hill, gate keeping, in the start shack, watching our girls race. . . So many fun, funny and joyous memories we had with the Wilbers! RIP, Mike. Hugs and love to Laura and Heidi!!!!! I am so very sorry for your loss. Sending love and prayers to all of you. I have fond memories of Mike as a friend, classmate and neighbor. He will be missed. Becky, Nancy, Bob I am so sorry to hear of Mike’s passing. I know how difficult it is to lose a brother. You have been in my prayers since I heard the news. So sad to hear of Mike’s illness and sudden passing. He and your family are in my prayers. Always a smile and a kind word, rest in gods arms Mike. Always a smile and a kind word…rest in gods arms! Sorry to hear this news, my thoughts and prayers are with you and your family. So sorry for your loss. What a great person and always a smile on his face. Wilber family, we are so sorry to hear of the passing of Mike. His teaching, skiing ability and zest for life was truly an inspiration to me and the envy of many. Our thoughts and prayers are with you all during this very difficult time. Take comfort in knowing that Mike’s memories will live in the hearts of all that he touched, during his lifetime. Loved skiing with Mike. He was the catalyst that got me back into the sport and also assisted with bringing my children into the fold. We also shared a love for water fowl hunting, even though we never got to go together- the conversations were always as if we hunted together often. Mike will be missed, but always remembered for the great things that so many of us were blessed to be part of. My condolences to the family. Bob and Family, We are so sorry to hear of the loss of your brother. Wilber Family, So sorry for your loss. Prayers for strength to get you through this difficult time. So sorry for the loss of Mike. Loved sailing with Mike, talking about life, and making the most of it. We will miss him stopping in the office to catch up with each other. Love and prayers to the family.